The small country of Macedonia on the Balkan Peninsula in southeastern Europe is sparsely populated, heavily forested, and very mountainous, with its highest point reaching almost 10,000 feet. Considered “the heart of the Balkans,” it boasts some of the best Balkan chamois hunting in Europe, and it also has large populations of wolves and wild boars, as well as a variety of other European game including mouflon, fallow deer, roebuck, and red deer. The kri kri ibex, imported to Macedonia from islands in Greece, is a major draw for hunters. Macedonia also has a number of other introduced species, including aoudad and axis deer. It offers a great opportunity for a combination hunt for several species at reasonable prices. The culture of Macedonia is part Balkan and part Mediterranean, and the nation is rich in Greek, Roman and Ottoman history. Macedonia’s interesting and friendly culture is only exceeded by its wealth of wildlife. No visa is required for EU, US, Australian, Canadian, or New Zealand citizens for stays of up to three months. 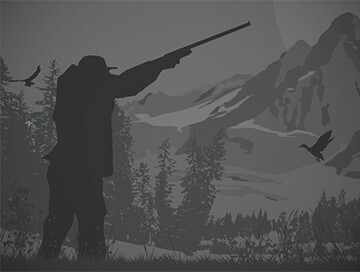 Hunters may bring their own firearms, but it’s crucial to arrange all details with your outfitter in advance. You must be able to provide all rifle and ammunition details as well as a valid hunting license from your home country, and you will need a written invitation from your outfitter in order to import your firearms when you arrive in Macedonia. Most hunters arrive in the capital, Skopje, via connecting flights from other large European airports. Discuss arrival options with your outfitter; Macedonia is gun-friendly, but it has its own language, so it is best to be met by an interpreter who can take you through the arrival and customs formalities, especially if you are bringing your own firearm. Hunting difficulty varies widely. For hunters seeking a mountain experience, there are high, rugged peaks where Balkan chamois, mouflon, and ibex are stalked, and the hunting can be difficult, especially when there is heavy snow. There are also many hilly regions and plains areas where boars, deer, and other game are abundant. 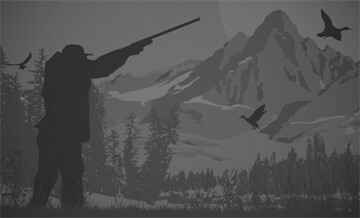 Most of this hunting is done by spot-and-stalk or by glassing from a high seat. Boars may be taken on driven hunts, and wolves are usually hunted over bait at night. Initial trophy preparation is usually handled by the outfitter. Export documents and veterinary certificates are usually prepared by the management of the hunting area immediately after the evaluation of the trophy and, if possible, are issued prior to the hunter’s departure. Discuss trophy export requirements and procedures with your outfitter prior to arriving at the hunting area. Stalking hunt of Himalaya Thar, great nature and not a heavy task. Wolf hunting on free range territories. The fur is the best during the suggested best period.